Happy St. Patrick’s Day Beads of Expression Necklace measures 36″ around. 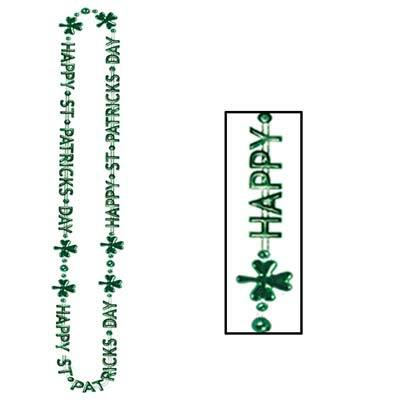 The words “HAPPY” “ST” “PATRICKS” “DAY” are separated by beads and 3 leaf clovers. Use Happy St. Patrick’s Day Beads Necklace as a way to party just like they do in Ireland. 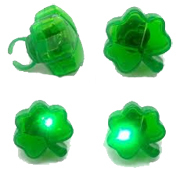 Wear these St. Patrick’s Day beads of expression to aid in your party celebrations. 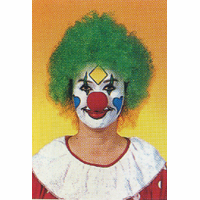 This necklace is a safe, fun and friendly way to celebrate St. Patrick’s Day. 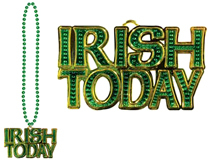 The words “HAPPY” “ST” “PATRICKS” “DAY” are separated by beads and shamrocks.